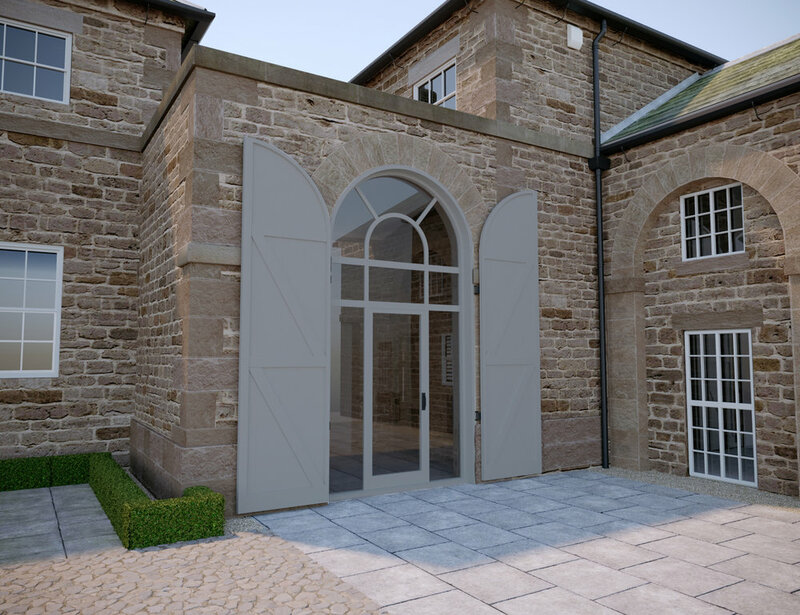 Pearce Bottomley Architects are pleased to have achieved planning permission for a new extension and glazed entrance to a Grade II* listed building in Harrogate. The sensitive nature of the proposal was initially rejected by Historic England during pre-application discussions, but pro-active liaison and communication of the design quickly changed their opinion and full support was offered for the proposal following the submission of CGI visuals and graphics. 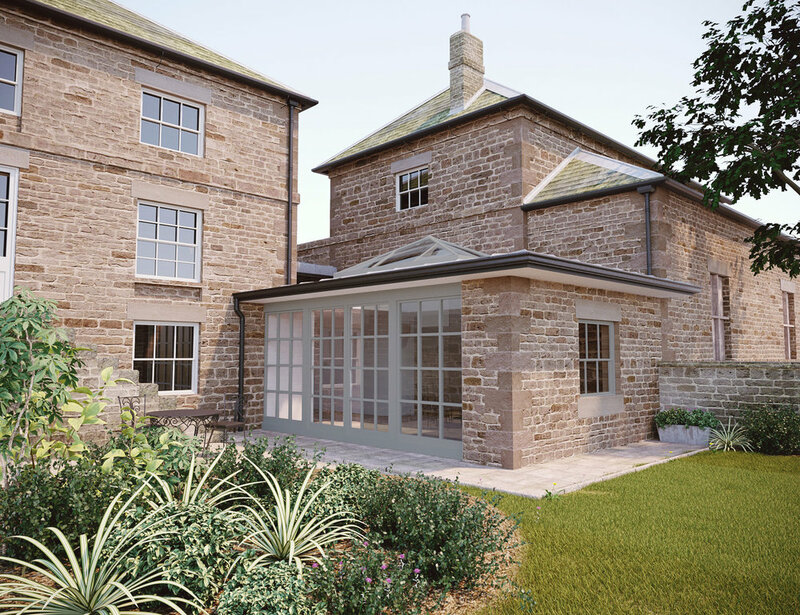 The design was carefully crafted by Pearce Bottomley in order to meet the client brief of increasing the functionality of the ground floor, whilst retaining and enhancing the character and integrity of the Listed Building. For any similar project enquires, please contact us for a consultation.